And here’s the 6pm FRCC Comp class Mini-Essay winner, Kristin. Good job, all! Computer-Generated Imagery is a tool commonly used in today’s filmmaking, appearing in a variety of movies across genres. The ongoing application of this technology opens the door to a new debate: Is CGI a better product than traditional stunt acting? With the help of CGI, worlds within the Star Wars universe have become increasingly amazing, but there are still some issues with the animation. These new techniques, however, are a major contributor to ever-increasing movie budgets, driving the average production cost to around $100 million. Since the birth of the technology, it hasn’t stopped advancing. Because of constant improvements, movies that rely heavily on CGI seem to age quicker than those that do not. In spite of the steady and impressive progress, real landscapes, sets, models, and stunts usually prove to be more awesome. When Lucas filmed The Phantom Menace, he used a completely computerized army of drones, as opposed to actors in physical costumes. This decision provided the opportunity to create sweeping shots of the gigantic drone army, but the CG disappointed audiences in theaters almost as much as it does today. Unfortunately for animators, when incorporating these large digitized roles, the “Uncanny Valley” effect comes into play. This is the theory that “when something looks and moves almost, but not exactly, like humans do, it causes viewers to be repulsed” (Maison). In Rogue One, the reaction to the team’s reconstruction of the late Peter Cushing is a perfect example of the uncanny valley. Despite being much more convincing than the drone army from Episode I, or R2D2 setting fire to some droids in Revenge of the Sith, the graphics are still off. In addition to the generally unsettling quality of some CG characters, we may be losing some traditional visual effects. 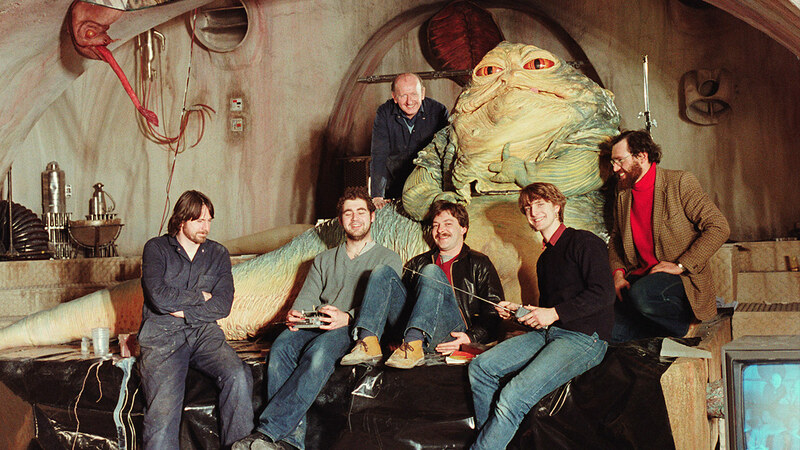 In Return of the Jedi, for example, Jabba the Hutt is a puppet, requiring an entire team to control his every move, and resulting in an interesting representation through the puppet’s movement and application. Some may argue that looking back at the original Star Wars trilogy, the stunts seem comical and worn, claiming the films don’t hold up over time. Adversely, there seems to be a phenomenon of rapid aging in films that rely heavily on graphics, and it happens in a much shorter span of time. In 2004, Lucas put out a DVD remaster of A New Hope, where the original Jabba the Hutt puppet was replaced with a digital version. Watching the two side by side, the original looks quite dated, but is much more watchable than the digital remaster. The computerized Jabba moves too fluidly, almost weightlessly across the floor, as if there is no resistance or gravity. In the prequels, Lucas used a significant amount of computer-generated imagery, trailblazing the application of fully digital actors. Since they were some of the first, they unfortunately have issues aging. Despite many classic film’s stunts and special effects having trouble maturing, many stay relevant through nostalgia, cult followings, and simply by being great films. Finally, the implementation of computerized backgrounds, characters, and other effects in the Star Wars franchise has caused the budgets to skyrocket. Considering the average inflation rate is about 3.55% per year in the U.S., the $11 million budget for A New Hope in 1977 would be equal to about $44.4 million dollars today. This budget included stunt doubles for each of the main roles, the production and execution of puppets, models, and costumes, as well as all other special effects. The most recent installation of the franchise, Rogue One, included two CGI characters, Governor Tarkin, and a young Princess Leia in the final shot. To make this possible the studio was still obliged to staff stunt actors for green screen work. These were difinitive factors in driving Rogue One’s budget to a staggering $265 million. Though movies have much larger profits than in the past, it can still be agreed upon that computer-generated images are a key player in the increase of costs to produce and see movies. At the end of the day, I’d watch almost anything over the third-rate graphics of A Phantom Menace, which despite being some of the pioneering uses of CGI, are disappointing. Even the new applications of CGI lead to an uneasy feeling in the audience. It is also obvious that the technology will only continue to advance, soon rendering the impressive graphics of today obsolete. So instead of spending billions trying to create amazing worlds and stunts, let’s acknowledge the magnificent abilities of stunt actors, and the beautiful and amazing reality of the world around us. Maison, Jordan. “Why People Can’t Enjoy the VFX in the Star Wars Prequels.” Cinelinx. Cinelinx Media, 14 July, 2014. http://www.cinelinx.com/movie-stuff/item/6025-why-people-can-t-enjoy-the-vfx-in-the-star-wars-prequels.html. 9 June, 2017. As you’ll know if you’ve been following me for a while, lovely lurkers, each time I teach Comp I (which is often), I host a Mini-Essay contest, with the students’ first assignments. The students vote on the top essays in the class and the winner gets posted here. Below is Ian’s winning essay, from the 10:30am class at FRCC. Congrats! As if there weren’t already numerous environmental factors such as puberty and general rebelliousness affecting the already shortening attention spans of our youth, now it seems that at least 78% of our youth age 12 to 17 own a cell phone (Adams). Not only are these incredibly resourceful handheld google machines contributing to their lack of face to face social interaction, but they are also becoming a detriment to their health and ability to learn. In this essay I plan on discussing the pros and cons of technology as an educational resource. exploring social media. There are a few less commonly known, more sinister factors that contribute to the growing decay of students attention spans. One study showed loss of total sleep could be as much as 46 minutes nightly due to use of cell phones after sleep onset (Adams). 46 minutes may sound insignificant, but this adds up to 16,790 minutes of sleep lost annually, or in other words 279 hours, or 11.66 whole days of sleep lost. According to the CDC, “the average adolescent requires 8.5–9.25 hours of sleep per night…” (Adams). Interestingly enough, the average complete sleep cycle for adolescents and adults is about 90-120 minutes (Scammell). If 46 minutes are lost nightly due to cell phones, this cause them to wake up mid sleep cycle, as opposed to naturally waking up when their last sleep cycle has completed. This has been shown to cause the individual to feel groggy, and out of focus throughout the day, especially when it is a recurring occurrence. This can have a significant impact on the attention span of any human, but especially in children. Sleep is extremely important for many reasons, such as the storage of information in long term memory, ability to focus in class, and their hormonal development. Children who sleep less tend to be more irritable, less attentive, and less likely to contribute in the classroom. Another study showed that the sound of a cell phone chiming could trigger a response similar to that of a mother awakening to the sound of her child crying in the middle of the night, describing it as “hyper-vigilant”(Adams). I personally experienced this while I was a member of the 82nd Airborne Division, where I was expected to answer my cell phone at a moment’s notice, while being expected to be ready to deploy at a moments notice, literally. If I did not answer the call during specific drills I could have been subject to losing my job, and pay and I can assure you, this affected my sleep quality significantly. This affected my ability to concentrate on simple tasks such as driving, socializing, and most importantly my memory. On multiple occasions I can recall driving home after being awake for twenty four to forty eight hours, and barely making it home safely simply because I could not focus on driving. Though cell phones, or technology in general could have the potential to detract from modern education, it appears they may also have their place in aiding educators, but only when strict rules are enforced, and discipline is intrinsic. The ability to have unlimited access to information via a device that fits in your pocket should need no explanation as to its significance. While arguing with a professor in class a student could access supporting evidence in seconds. Some may argue that this can detract from education because the student becomes reliant on the technology as opposed to their memory, however I can see it as a valuable resource. Technology in the form of virtual reality could some day cut costs in many fields of study, but especially medical fields. Imagine being able to access a fully digital, 3 dimensional cadaver as medical student who aspires to be a surgeon. This could prove to be an invaluable study tool, and I can certainly foresee its eventual use. By simply taking notes via a laptop or cell phone in class, students can also reduce the amount of paper wasted significantly, which would obviously have a positive impact on our environment as well as their bank accounts. 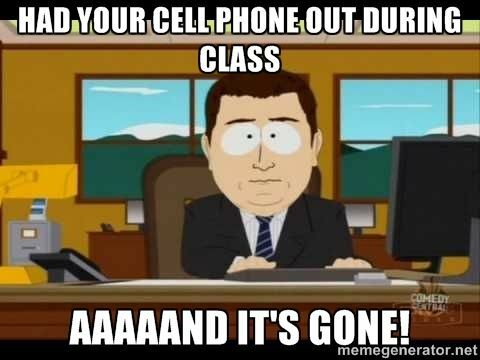 Cell phones are quickly becoming a detriment to students’ health, education, and overall social skills. With sound discipline not only in the classroom, but in the home as well, one of my generation’s greatest liabilities could become a tool to further our ability to educate, and reduce our impact on the environment. There are many benefits to using technology as an educational resource, but are they worth the costs? Adams, Sue; Daly, Jennifer; Williford, Desireé. http://www.ncbi.nlm.nih.gov/pmc/articles/PMC4089837/. Accessed 18 June 2017. And yes indeedy, I certainly am presenting my famous The Fight Is The Story spiel on a panel. This year, the academic branch of DCC (called Page 23) has added me to a panel called “Smackdowns and Superheroes: Fighting the Good Fight in Comics, TV Shows, and Video Games.” Right?! I’m on a panel that totally fits w my topic! 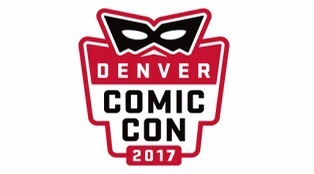 So the Smackdowns panel is Saturday of Comic Con (that would be July 1st), at 5pm. I’m the fourth of four presenters, so hopefully I’ll have a nice robust audience left for my bit. I will no doubt be walking around Friday as well though, and maybe even Sunday, so beyond coming to see me talk about the importance of The Actor’s Rules in narrative, and physical storytelling, and how awesome lightsabers are, and how terrible the fight in Phantom Menace is, buy me a DCC beer and have a conversation (I believe this year’s specialty beer is called “I Am Brewt”). See you there, and soon! It’s been a while since one of these, eh lovely lurkers? As the S.O. said, isn’t this story begging for a movie? Seriously, Should a Woman Play Hamlet? And, finally, an image and a video clip of Boulder Burlesque’s pre-show performance from the Allen Ginsberg birthday bash the other day. Please to enjoy. Funny that I’m not performing either with Band of Toughs, or with Naropa’s poets, but with Boulder Burlesque. An odd group to find as part of the lineup for HOWL: A Ginsberg Birthday Bash. We will be performing a standard piece for them: “Welcome to Burlesque,” but it’ll be with a live jazz band, so. That’ll be pretty cool. I asked Band of Toughs what they were doing, and all they coyly told me was that it involved skulls. So yeah. Tickets for this amazing sounding variety show are only, like, ten bucks. So I’d recommend it.